Ask fellow campers about "Williamsburg Campark (formerly Williamsburg Pottery Campground)" and nearby attractions. Friendly staff @ an older Park with numerous sites. 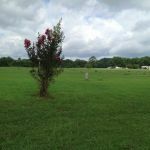 All sites are grass We camped at Williamsburg Campark (formerly Williamsburg Pottery Campground) in a Fifth Wheel. Wal-Mart was very close to Park. The roads into and inside the park are good. This is a very large park, but most of it is not used any more. Check in was fast and friendly. The park is well maintained and quiet. We were in Site F-3, a level pull through with full hook ups, no issues with the hook ups. It was plenty long enough for our 37-foot Class A, tow-dolly and parking the car. For the first few days we had lots of room but, once every site was filled, we were pretty tight - our awning was almost touching our neighbor. There is a pool but no chairs, no laundry room and we did not use the bathrooms. Plenty of open space for dog walking - no dog park. WiFi was okay but spotty at times. Verizon signal was strong. We stayed May 20 - 28, 2018 and paid $27.00 a night with a combination of Passport America and their weekly rate. 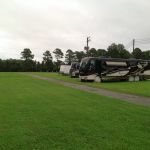 We camped at Williamsburg Campark (formerly Williamsburg Pottery Campground) in a Motorhome. Colonial Williamsburg is just minutes away along with many other attractions. This is a very tired, very big rv park. Years ago probably best around. Hasn't been upgraded in years. The pros. If you don't need bathroom facilities this is the place to be. Fairly good internet. Quiet, peaceful and very roomy. Walmart and strip mall about a mile away. Great home base to visit the historic towns in this area. The manager is very easy to deal with. I would stay here again. We camped at Williamsburg Campark (formerly Williamsburg Pottery Campground) in a Travel Trailer. 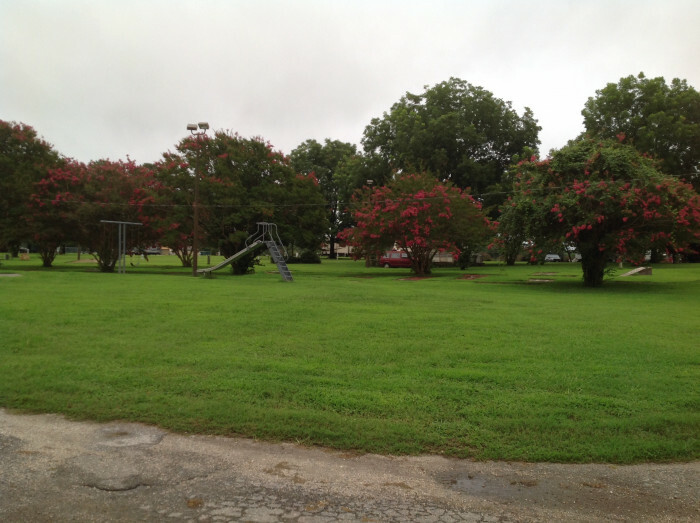 Older park in need of maintenance. It works fine for a visit to the historical cities nearby. Sites themselves are ok, the grass is mowed and hookups are easily accessible. Some are under trees but most in open fields. Showers, laundry, LP fill station and pavillion all are non functional. We camped at Williamsburg Campark (formerly Williamsburg Pottery Campground) in a Travel Trailer. In my (humble) opinion, the reason for staying here is to see historic Williamsburg, Jamestown and Yorktown. All are very close. Shopping and restaurants are within a mile. 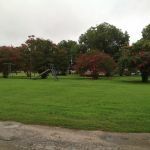 Very large old park, just a few miles from the historical colonial sites. Gravel road and grass sites with FHU or W/E. Sites level but narrow. Lucky no neighbors, in fact park almost empty in July. Old but clean RR and showers, nice pool. No on-site laundry. Both open sky and wooded sites. Good cell, no cable and good over the air TV. Very weak free wi fi. No clubhouse or store. Park suffering from lack of maintenance and upkeep but still ok. Good base to visit area and good value. One mile to Walmart and restaurants. Staff very helpful and friendly. We camped at Williamsburg Campark (formerly Williamsburg Pottery Campground) in a Fifth Wheel. Park is 80 years old and has seen better days. No updating has been done recently. WiFi is OK, depending on the site. All interior roads are grass / gravel. We camped at Williamsburg Campark (formerly Williamsburg Pottery Campground) in a Fifth Wheel. This campground has seen better days. It is very run down. Only has 8 sites with 50 amp and one of those didn't work. Sites are very close together. No trees at all for the sites with 50 amp. Swimming pool is away from anything else. Laundry is not open. We camped at Williamsburg Campark (formerly Williamsburg Pottery Campground) in a Fifth Wheel. If at all possible, just avoid this place. The VA State WIT camping club had to change the August meeting location due to a conflict and this was all they could find in the area at the last minute, that could accommodate 30 coaches. The bathrooms and showers were filthy, the office staff had no idea what they were doing, the sewers were stopped up, the playground consisted of one old rusty slide, the covered meeting areas are rotting and falling down. $28 rate was negotiated by the club president and it wasn't worth that. 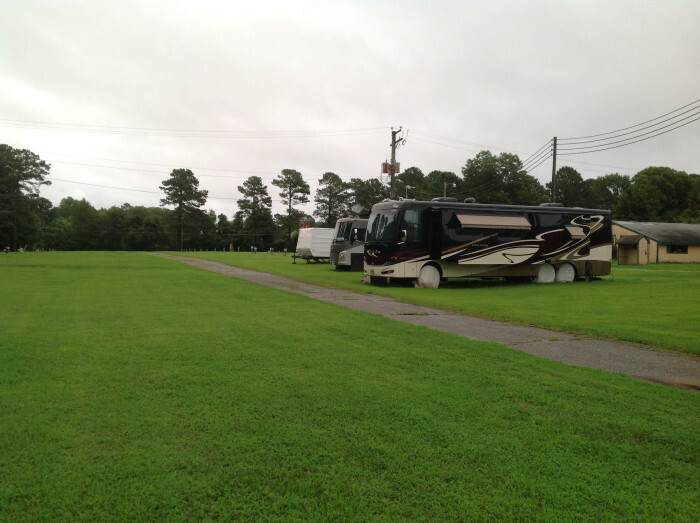 We camped at Williamsburg Campark (formerly Williamsburg Pottery Campground) in a Motorhome. Williamsburg VA is a great place to visit, just find another place to camp. I completely agree with the previous reviews, although we never saw one staff person the entire weekend. We got here at night, there were no instructions about what to do, no campground rules given. It was like this park was abandoned! The pool was closed (since it was October) but it was VERY obvious it was really run down. The whole campground was overgrown. Tried to take my daughter to the "park" which consisted of one metal slide. The other "park" we found was two swings that looked like they were going to fall over, and one more metal slide. The whole place was in horrible disrepair. We noticed on the third day that there was/is a putt-putt golf course inside a fence, but it looked like it hadn't been used in about 40 years. There were scraps of what looked like putt-putt grass and concrete, but no way could anyone ever play here. It was a real shame. They have a great location, but it looked like everyone had given up ten years ago. The only evidence that it was still being run/owned by someone, was the electric on our site was turned on! If they would put some money in to this park, it could be nice. We saw two permanent trailers here. They looked as if the health department needed to be called. We camped at Williamsburg Campark (formerly Williamsburg Pottery Campground) in a Fifth Wheel. The small staff here is wonderful. There is a man and woman who take care of everything here and they seem to do what they can with what they have been given. The owners are doing this place a huge disservice as it has great potential. We never stayed here before, but wanted to try it as other campgrounds were so much more expensive. But you get what you pay for!! The place is run down and overgrown, and the pool was not in good shape at all, as one ladder was broken and had yellow caution tape around it. Bathrooms were clean, I guess, but looked pretty old and gross because I think they can't be cleaned anymore than they were. The biggest concern for us were the other campers. There seemed to be many people who stay there on weekends frequently and were not very nice people to be around. Many teenagers roamed with free rein and were cursing and being rude while I was swimming with my two young children. My kids were upset, but I had to leave the pool after only 30 minutes because of the teens. So the amenities were not even useful to us. Then, there were people who set off fireworks right behind our RV for an hour after dark because we were next to an open field. Guess they figured that meant it was OK for them to do that next to us! If the owners were to put work into this place and beef up security, it could be a great alternative in a quiet, but central location. It is a real shame that this place has become so dilapidated. We will NOT stay again unless something major changes. We camped at Williamsburg Campark (formerly Williamsburg Pottery Campground) in a Motorhome. We first camped here in the late 80's and had a wonderful time in our little two person tent! The staff was wonderful, the bathrooms were nice and clean and the swimming pool was refreshing and clean. Let's jump forward to 2010. The place looks like it has not had a coat of paint since the late 80's, the children's pool looked like a biohazard, with it's slightly odoriferous milky white water. The upper shower offered cold to almost, but not quite, tepid water. The staff was still friendly, just never present to run the camp store. They weren't loafing; it just seemed everything to do was left to two hardworking men. We had no problem getting a site in the choicest campsites during Memorial Day weekend, and that alone should have clued me in to this disaster of a campground. My guess is the person who ran this campground twenty years ago is no longer taking care of it. Last trip to this one for us. Easily a grade of F, based on cost versus amenities. We camped at Williamsburg Campark (formerly Williamsburg Pottery Campground) in a Travel Trailer. This was an okay place to camp. As I understand it, it used to be quite the place to camp. However, the original owner passed away, and the property has been passed down to his children who do very little to care for it. Apparently, it's been for sale for some time. There were very few people camping there. The one staff member that I met was pleasant. The pool is only open 3 days per week which was not mentioned on their website. Unfortunately, even though we stayed during those 3 days, the required life guard was MIA and therefore the pool remained closed. We also used the laundry facilities which were relatively clean but most of the machines were broken. We would probably not stay here again unless nothing else in the area was available. We camped at Williamsburg Campark (formerly Williamsburg Pottery Campground) in a Tent. This campground is easy to fall in love with. We stayed for a week and a half (in August 2008 not Jan. 2009 as the website forced me to enter)and got the monthly rate. Made it a launching point for Williamsburg activities including Busch Gardens and Water Country USA(season passes). Very few campers when we were there. Huge pool that was never in use unless it was us. Remote pond for fishing. While I admit there are many uneven sites those are the ones I try to park next to so no one will park next to us. 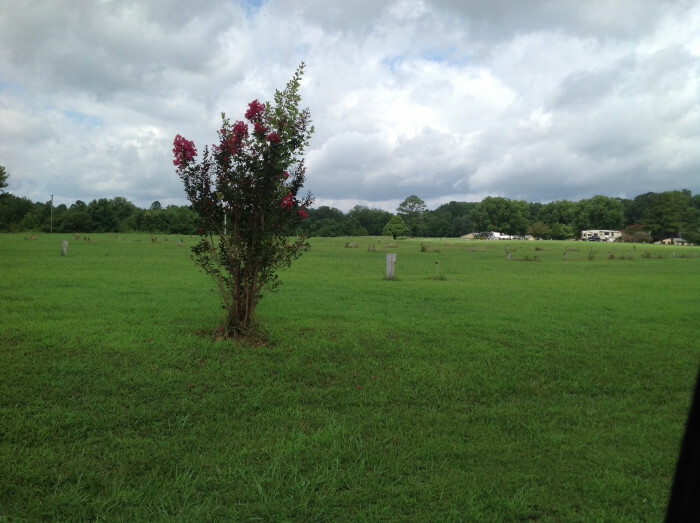 We love this campground and hope the owner does not go through with a proposed sale. We camped at Williamsburg Campark (formerly Williamsburg Pottery Campground) in a Fifth Wheel. We stayed here instead of the KOA to save some money. I think that maybe my grandkids would have preferred we spend a few more $$. It was an OK place to stay, if you are doing the Williamsburg attractions. It's just not a good place for just hanging out. We camped at Williamsburg Campark (formerly Williamsburg Pottery Campground) in a Travel Trailer. Are you affiliated with Williamsburg Campark (formerly Williamsburg Pottery Campground) ?